Are There “Alternative Facts” for Addiction? We have heard a lot lately about “alternative facts” and “fake news” but I have not heard any mutterings about these misgivings as it relates to the current opioid epidemic. But then again, despite the number of deaths being claimed every day by fentanyl and heroin and in contrast to the sound bites heard during the presidential primaries, no one is talking facts about addiction. For that matter, politicians are barely even talking about addiction! We are talking a lot about the murders caused by immigrants, and there is no one doubting that immigrants do murder people, but so do native born Americans, and at a much higher rate than first generation immigrants. So, yes, we need to be concerned why second generation immigrants commit crime at rates much higher than their forefather immigrants and at a rate similar to native-born Americans; but if we are really serious about saving lives, let’s also talk about that which claims more lives than gun crime or automobile accidents – the disease of addiction. Let's not get caught up in the fake news that building a great wall or cutting Medicaid funding and trashing the Affordable Care Act will stop the influx of drugs or assist those afflicted with the disease of addiction. I hope you will read on. According to data from the Centers for Disease Control and Prevention, 30 states saw increases in overdose deaths resulting from the abuse of heroin and prescription painkillers, a class of drugs known as opioids. New Hampshire saw a 191 percent increase while North Dakota, Massachusetts, Connecticut and Maine had death rates jump by over 100 percent. “Everything happens for a reason, and I’m thankful it did happen, because I have a new look-out on life,” said Nathan Johnson, who said a recent overdose has him ready to stay clean. “They threw me in the shower, they did 18 minutes of CPR before the cops got there. Nothing was working, so the cop came in and he had to use two Narcans. It brought me back to life,” said Johnson. He can now use naloxone — or Narcan— on others. Kentucky’s ‘Good Samaritan’ law protects people who are administering the drug in an effort to keep someone alive. “We’re often accused of being enablers, and we are. We are enablers. We enable people to live” said Read. Drugs are the leading cause of accidental death in this country. Fatal overdoses surpassed shooting deaths and fatal traffic accidents years ago. Heroin-related deaths increased 439% from 1999 to 2014. As of 2014, heroin-related deaths had more than tripled in five years and quintupled in 10 years. In 2015, 276,000 adolescents were current non-medical users of pain reliever, with 122,000 having an addiction to prescription pain relievers. Heroin overdose deaths among women have tripled in the last few years. While Trump’s discourse suggests waves of immigrants equals violence, scholars say studies don’t substantiate that message. Research on immigrants and crime finds that immigrants are not more likely than U.S.-born individuals to take part in crime, said Christopher P. Salas-Wright, an assistant professor at Boston University’s School of Social Work. "Again and again, we see evidence that they are not," Salas-Wright said. "In fact, it’s the opposite." Studies show that for the most part, people who migrate are a self-selecting group who want to better their lives, provide for their families back in their home countries and who don’t want to risk getting in trouble with the law, said Kubrin, the criminology professor at University of California, Irvine. Results suggest that the myth remains; trajectory analyses reveal that immigrants are no more crime-prone than the native-born. Foreign-born individuals exhibit remarkably low levels of involvement in crime across their life course. 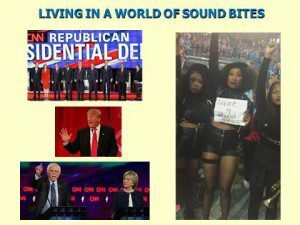 Moreover, it appears that by the second generation, immigrants have simply caught up to their native-born counterparts in respect to their offending. Implications of the findings for theory and future research are discussed. Posted in Author Blog. Tags: Addiction, Addiction Treatment, Alternative Facts, Fake News on February 26, 2017 by skassels. 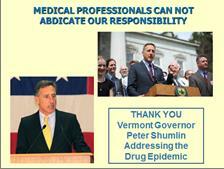 I recently spoke with Acadia Family Center about their efforts in treating the disease of addiction. Their work in treating the biological, psychological and sociological aspects of this illness is critical to the communities of Mount Desert Island, Maine. Like many treatment centers, they are facing the challenges of increasingly limited local resources and budget cuts despite the growing addiction epidemic. To help their important cause, from August 22 through September 15 I am donating all author proceeds from the sales of my book, Addiction on Trial, to the Acadia Family Center. 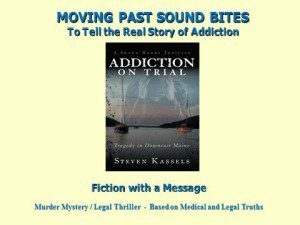 Addiction on Trial, the first in a series of Shawn Marks Thrillers, revolves around the murder cases of attorney Marks. 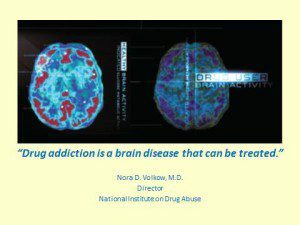 Addiction on Trial sends a powerful message of societal discrimination toward drug addicts and explores common misperceptions about what drug addiction really is - a chronic illness requiring a treatment approach similar to other chronic diseases. Medical and behavioral aspects of addiction are woven into the intrigue of this thriller, which culminates in a riveting murder trial. Please also watch my brief conversation with Chris Popper about the issues related to addictive illnesses and the Acadia Family Center to learn more about effective treatment modalities. Do you know of another treatment-related organization that needs extra help, in the form of donations, event promotion, or other support? Please reach out to me on the Contact Page on this site. Posted in Author Blog. 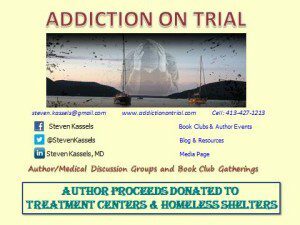 Tags: Addiction, Dr. Steven Kassels, Treatment, Treatment Centers on August 22, 2016 by skassels. I am writing this blog to share a very exciting adventure. 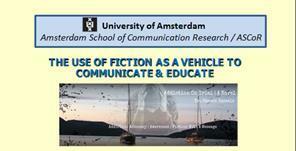 The University of Amsterdam has invited me to speak to the School of Communication Research. Thank you Prof. dr. Claes de Vreese in the division of Political Communication and Journalism for the opportunity to discuss how fiction can be used as a vehicle to effect social change. encourage policy makers and politicians to base decisions on evidence based science and financial considerations. 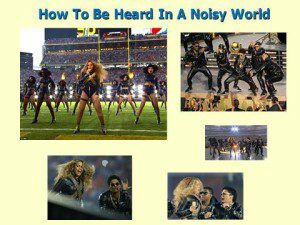 Here are a few more slides I will be using during my presentation. As they say, a picture is worth a thousand words; so please enjoy the following slides and please let me know if you would be interested in having me present to your group, organization or academic institution. ONWARD AND UPWARDS - TOGETHER WE CAN MAKE A CHANGE!!! Posted in Author Blog. Tags: Addiction, Addiction Advocacy, Amsterdam, Fiction w/ a Message, Literary Fiction, Speaking, University of Amsterdam on March 13, 2016 by skassels.